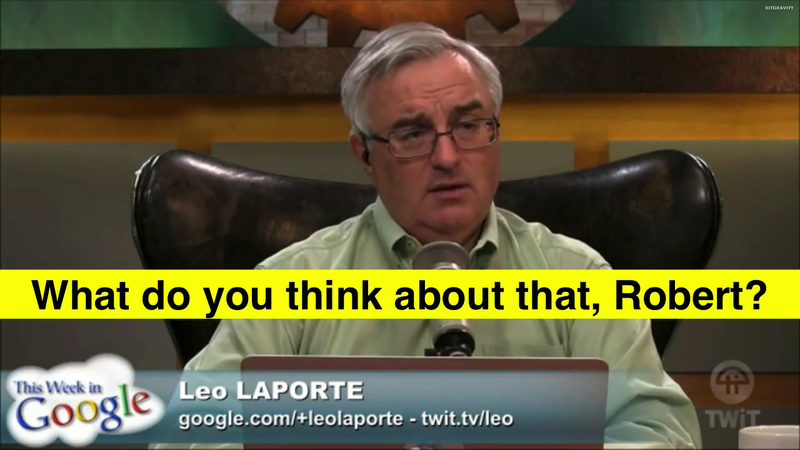 In a shocking display of disrespect during a taping of “This Week in Google” recently, Jeff Jarvis and Leo Laporte team up to mock Robert Scoble’s enthusiasm for technology. Scoble was not on the show and thus could not defend himself against the duo’s derisiveness. Watch for yourself to see just how unfair these two old geezers were to Scoble. May be in bad form but Scoble is as unlIkeable as Leo so whatever. Hmmm, the whiners about being trolled are the BIGGEST TROLLS of them All! Not a day goes by without either JarPiss, Soup or Gum trolling others or trolling companies with their unwanted and hateful criticism. Yes, Jarvis is a tool. Just like #Yoko, he speaks a nonsense language of jargon. I’d watch a show with @ProfJeffJarvis over one with the douchebag @JeffJarvis any day. Idiots. The lot of them.